He wasn’t carrying any oranges, but a Bulgarian mob boss, along with his bodyguard, were shot outside of a Sofia courthouse on Tuesday morning. The Sofia News Agency reported that Zlatomir Ivanov, also known as Zlatko Baretata (the Beret), is now in a state of shock in hospital due to heavy blood loss following the attack. The doctor who operated on the feared drug lord said Ivanov’s leg was injured, while his colon, intestines and urinary bladder were infected. It is unclear if the mobster’s life is in danger or not. The SNA reported that the would-be assassin (or assassins) was positioned on the roof of a building across the street from the courthouse but managed to escape. 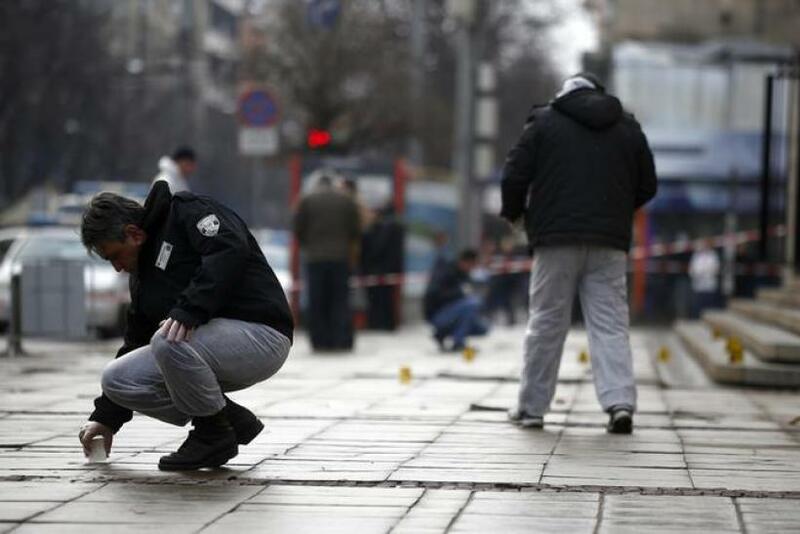 Ivanov, 44, formerly a member of Bulgaria’s counterterrorism squad, was due to appear at the Central Courthouse in Sofia to appeal an 8-year sentence for drug trafficking and murder when shots rang out. His nickname comes from the fact that members of Bulgaria’s Interior Ministry, where he served during the early 1990s, are called berets. Ivanov was originally arrested in February 2009 after he turned himself in to Bulgaria's National State Security Agency. Last year, he was sentenced to the prison term -- he appealed that ruling and has since been under house arrest. As a former government official, Ivanov has an unusual background for a gangster. He reportedly left the counterterrorism squad to protest the arrest of other berets who clashed with local pimps in the southern city of Haskovo. Ivanov departed the agency with two other future mobsters, Plamen Galev and Angel Hristov, aka the Galevi Brothers, both of whom disappeared last year after being convicted of criminal charges. In high school, Ivanov was a star wrestler. According to Bulgaria’s Focus news agency, he owns stock in some 30 companies. Over the years, Ivanov has been linked to prostitution rings, car-theft operations and ordering murder contracts on other top mobsters, as well as being suspected of keeping ties to Bulgarian military officials. Despite many arrests, he was always released. Bulgaria, the poorest country in the European Union, has long been pressured by Brussels to root out deep-seated corruption in its government and its ties to organized crime. Mobsters are believed to be deeply entrenched in Bulgarian business and political spheres. Since the fall of Communism in 1989, there have been dozens of high-profile public killings of mob figures by professional snipers in Bulgaria. “Other countries have the mafia. In Bulgaria, the mafia has the country,” Atanas Atanasov, a member of the Bulgarian Parliament and a former counterintelligence chief, told the New York Times in 2008.